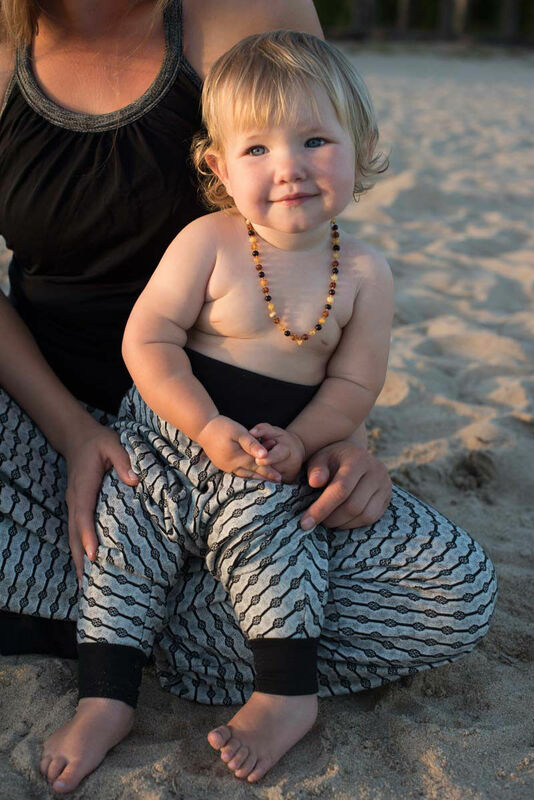 Now we have this popular pants even to the small yogis! 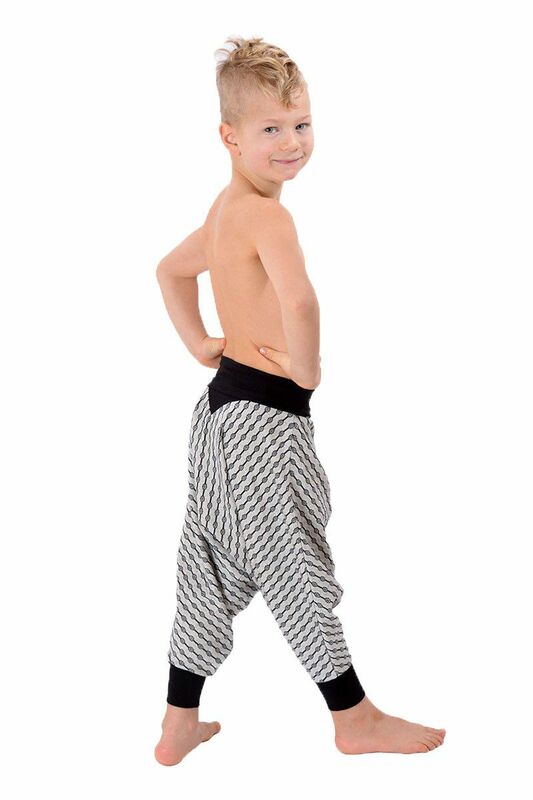 Organic made harempants for children in size 86-128. The pants have a wide soft waistband and also cuffs at the bottom of the leg. The pattern is gray and black. Material: Organic Jaquard cotton and waistband in organic cotton and 7% elastane.